I was a junior in college and observing a kindergarten classroom for the first time. The room was filled with children scattered about working at their literacy stations. Through the noise my attention turned toward the sight word center where the teacher was performing sight word assessments during her reading group. She must have saw the look of confusion on my face as I tried to figure out her method. I was dumbfounded! Young and already overwhelmed by the controlled chaos of the classroom, I just couldn’t wrap my head around how she made it work. Ever since that moment I strived to create sight word instruction in my classroom that would meet the needs of my individual learners. While my methods changed year after year, one aspect stayed the same. My student sight word lists. Each week learners were tested on a group of 5 sight words. They had access to these words in their book box through the week and used this list at their sight word literacy center. 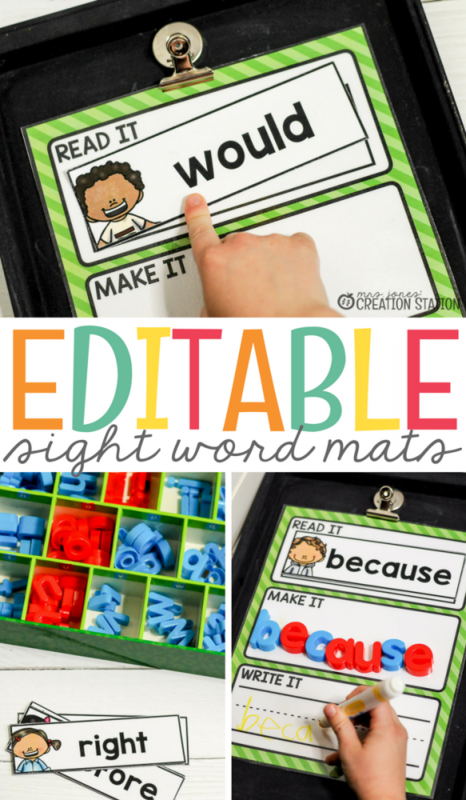 Differentiated sight word instruction made easy! At the end of each week, I assessed students on their sight words. If they were able to read all of the sight words correctly, quickly and without help they moved to the next list. If not, they were allowed another week to practice. 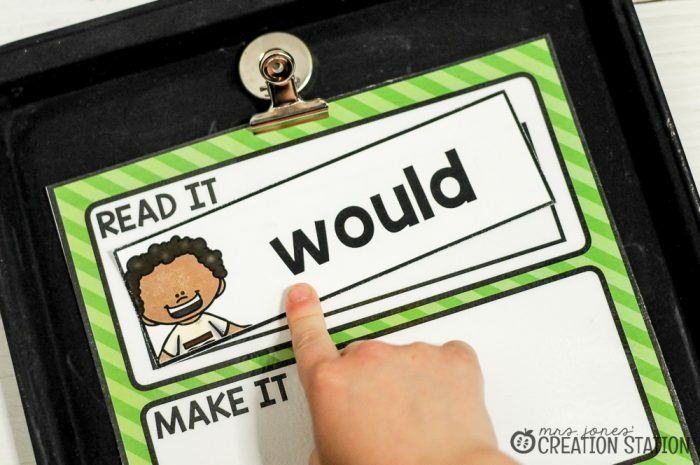 While I continued to introduce new words during whole group instruction this method provided learners with the repetition needed to learn sight words. Creating ways for learners to use their sight word lists during centers was a bit tricky. I didn’t want to create different cards or materials that wouldn’t allow them to practice their own list. 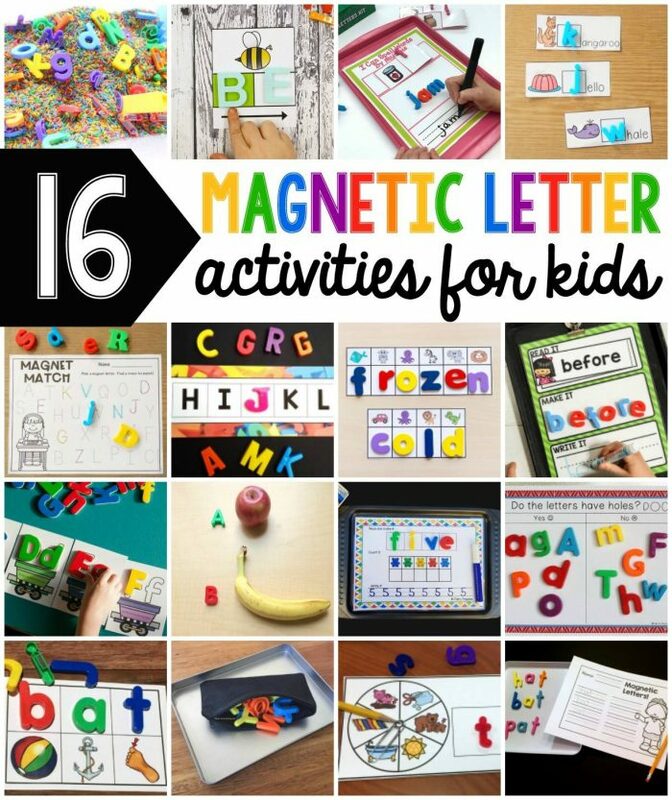 So, one of my go-to resources for our sight word center were our magnetic letters . 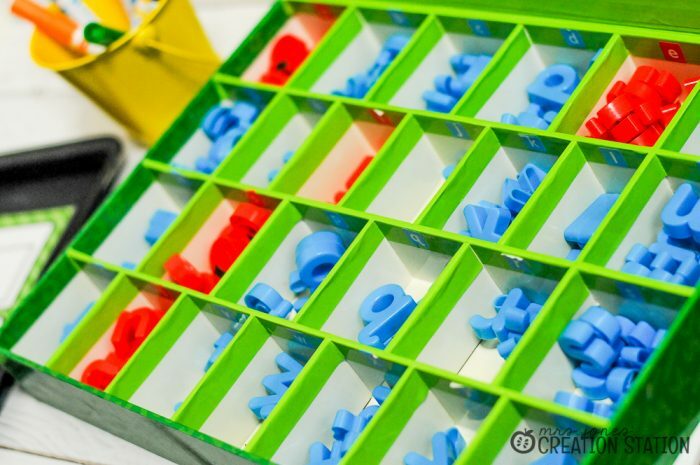 These letters stayed in the box at the station and allowed learners to grab the letters they needed quickly and practice more words during their station time. 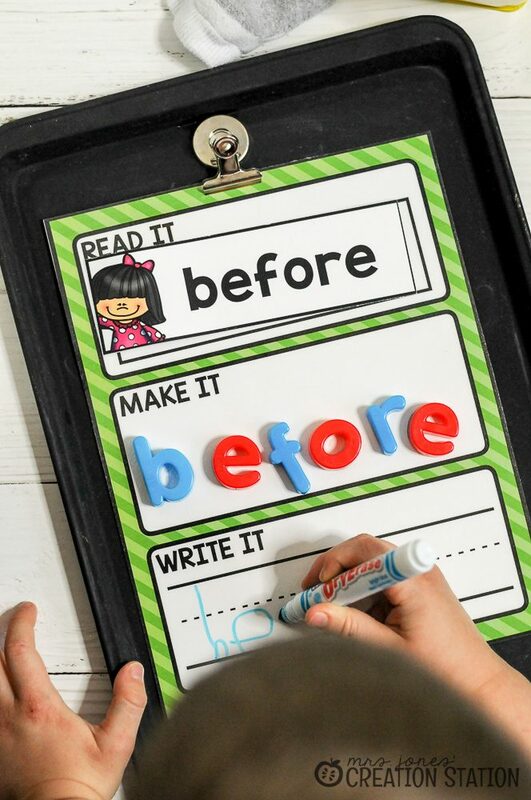 Having a list of words that you already introduced to your class is a must for the sight word center. This allows learners to become familiarized with other words after practicing from their own list. 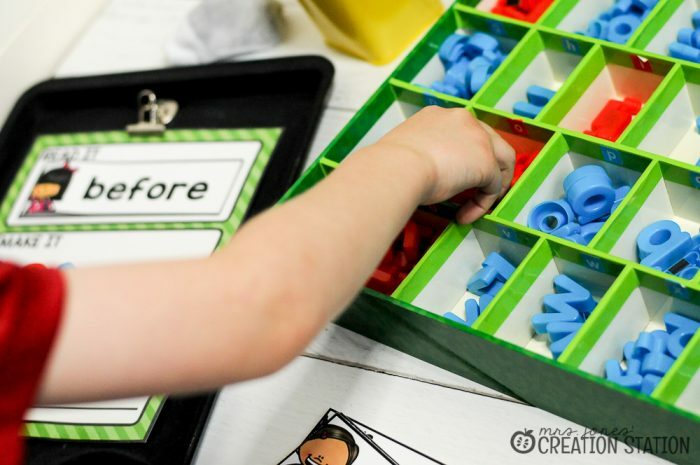 You can grab this free sight word mat and editable sight word cards by clicking the download image at the bottom of this post. To edit this cards be sure to download KG Blank Space Solid and open the file in Adobe Reader. For more detailed instructions check out this blog post. 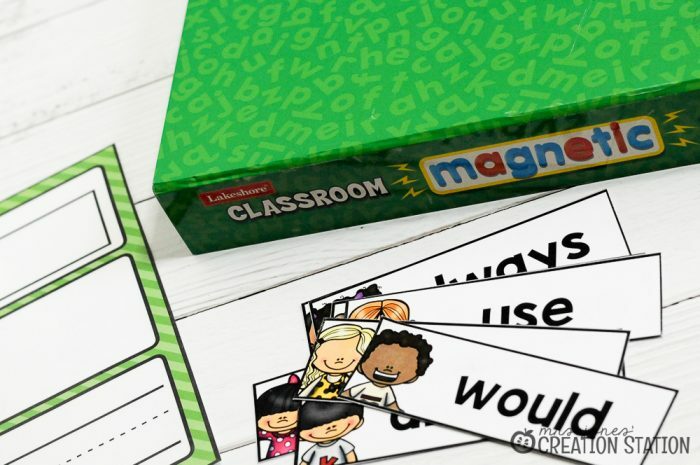 After you edit the word cards to meet your needs just print and laminate for durability. 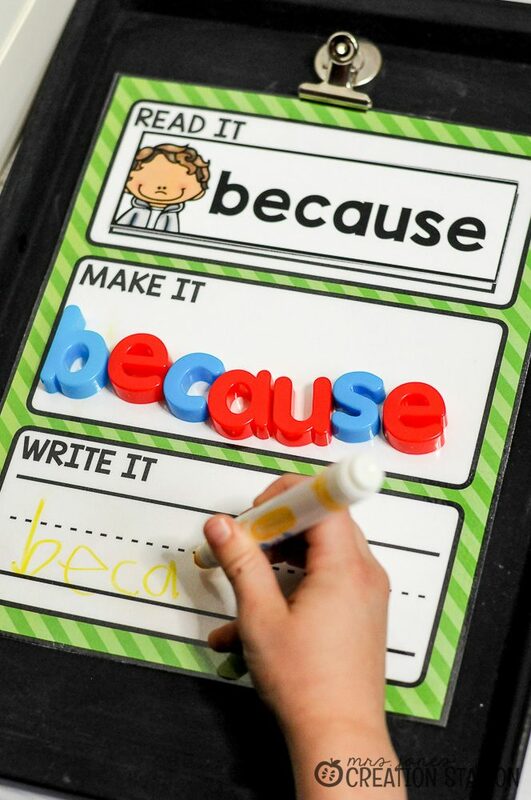 For this sight word you only need a few materials that you probably already have on hand. Now you have a center that is ready to go for your learners! A popcorn words board for “popcorn” words is a fun way to help learners look for words that pop up everywhere. Thank you. Recently I started teaching my two four year old daycare children sight words. I feel they are ready. When I came across your website through another link, I was pleasantly surprised to find your freebie editable sight word activity. It is perfect. Since we are starting with just a few words, it is exactly what I could use to help build their sight word vocabulary. Thank you. I’m so happy to hear that, Adria! Thanks for sharing!